For dinner tonight I was trying to think of a creative way to use up random ingredients I have left in the fridge. Meatballs came to mind. I threw these ingredients together and the result was very tasty! They are healthy and low fat too. Usually meatballs call for cheese and/or milk but I've omitted that and used aromatic vegetables instead to provide flavor and moisture. I didn't have onions today but I'm sure you can add them too. It's a great way to sneak in some veggies if your kids don't like them. 1. Preheat oven to 350 degrees F. Lightly grease a 9x13 baking pan with olive oil. 2. Boil carrots for 3 minutes. Drain carrots. Fine chop celery, garlic, and carrots and set aside. 3. In a large bowl, combine ground beef, eggs, chopped veggies, salt, pepper, herbs, soy sauce, Worcestershire sauce, dijon mustard, hot sauce and bread crumbs. Mix until evenly blended. 4. Form golf-sized balls (about 1.5 inches) and place in greased pan. You should be able to fit them in a 6 x 4 formation. Drizzle olive oil on top of the meatballs. 5. 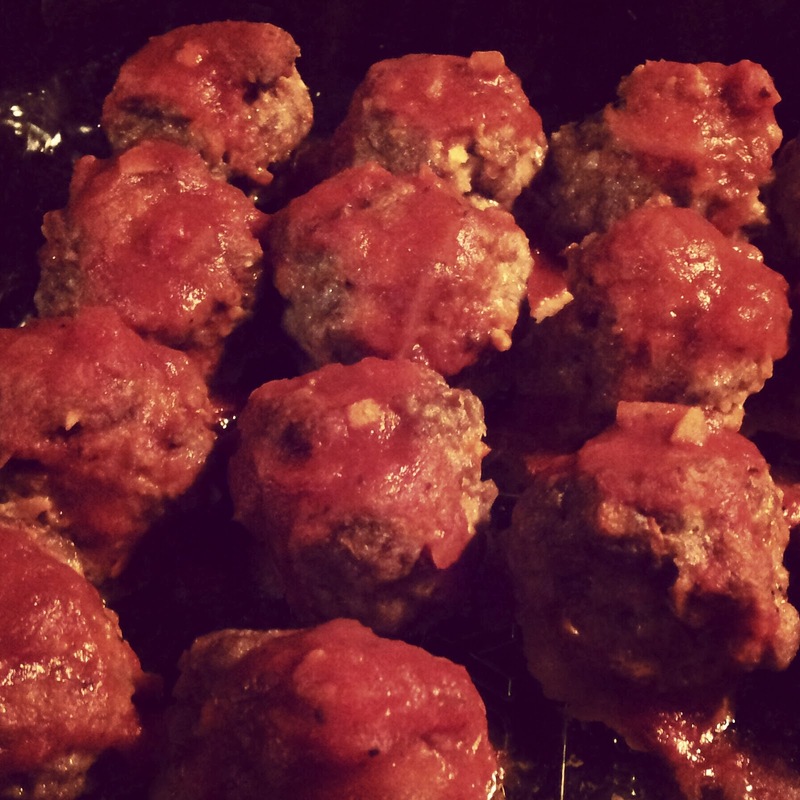 Bake for 30 minutes until meatballs are slightly browned. 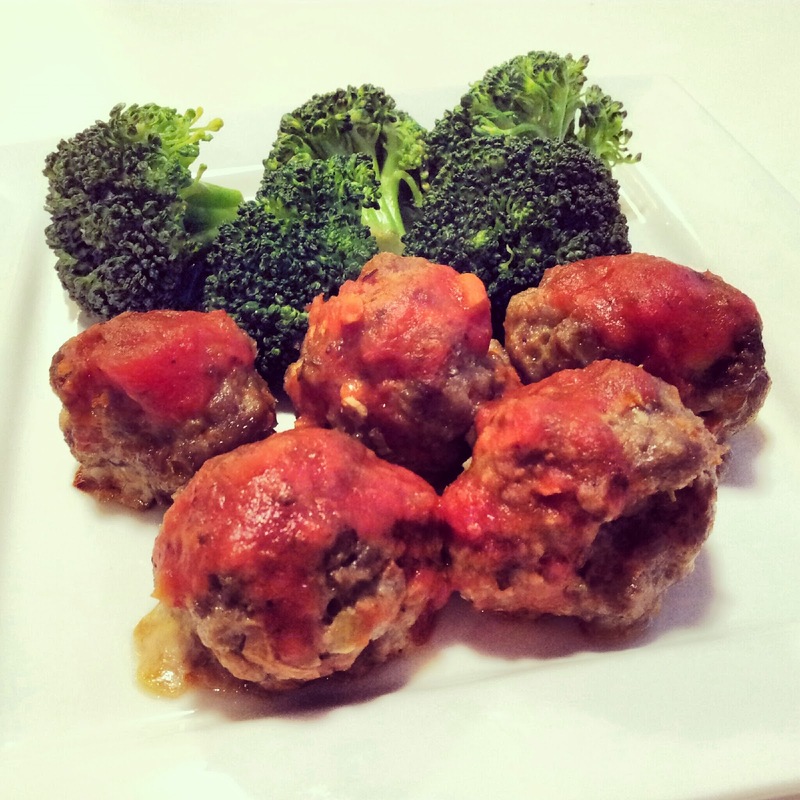 Remove from oven and spoon marinara sauce on top of each meatball. Return to oven and bake 10 more minutes. Enjoy and hope you like my recipe! I served mine with a side of steamed broccoli. Makes a nicely-balanced meal. Not Exercising? What's Your Excuse?